Madison, WI – Science, technology, engineering and mathematics (STEM) doctoral students who participate in teaching-development activities during graduate school are more likely to use effective instructional methods once they begin teaching, and also may increase their prospects for being hired into college faculty positions, according to a recent study funded by the National Science Foundation. The seven-year study found that participation in teaching-development programs—from brief workshops to semester-long courses and hands-on teaching assignments—during doctoral studies can have a long-term impact on STEM teaching practices across the nation. “Preparing current and future faculty as skilled undergraduate instructors has become a national priority,” says Mark Connolly, principal investigator of the Longitudinal Study of Future STEM Scholars (LSFSS), housed at the Wisconsin Center for Education Research in UW–Madison’s School of Education. These programs, especially semester-long experiences, help future faculty develop the skills, knowledge and attitudes needed to teach effectively. The study found that these programs helped STEM doctoral students develop confidence in teaching skills, such as course design and assessment of student learning. The study also found that increased levels of teaching development bolstered students’ confidence in teaching undergraduates and augmented a sense of community with their fellow graduate students. When investigating the employment of STEM doctoral graduates, the study determined that those who participated in high levels of teaching development were more likely to be hired into faculty positions. Even doctoral student participants who did not become college instructors after graduation reported positive and significant effects due to the training. The study’s final report recommends increasing doctoral students’ engagement in teaching-development programs and suggests that a program of up to a semester in length is critical in achieving a measurable longitudinal impact on the participants. 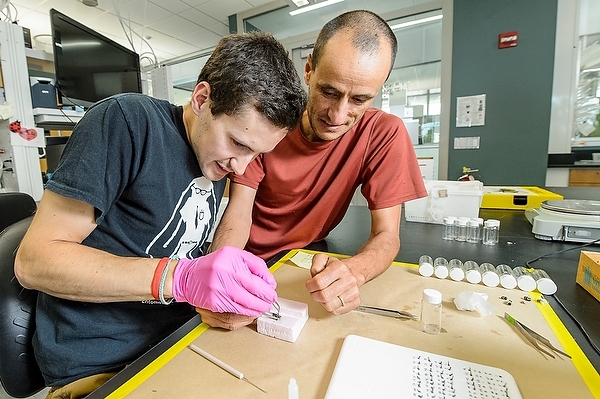 Since 2009, the study has followed more than 2,000 doctoral students from STEM departments at Arizona State University, the University of Washington–Seattle and UW–Madison. Although all three institutions offered teaching development programs, doctoral students encountered barriers to the training, including resistance from faculty members who believed that students’ focus should be solely on research, with no time allocated for developing other skills needed to achieve future career success and goals. About LSFSS: The Longitudinal Study of Future STEM Scholars (LSFSS) investigates the preparation of future STEM faculty and academics who teach and mentor undergraduate students. Specifically, this seven-year, multi-institutional impact study examines the effects of teaching-focused professional development programs designed for “future STEM faculty” (i.e., STEM doctoral students with academic aspirations).